The graphics will blow your mind, and the story will steal your heart — this is the essence of How to Train Your Dragon. Created by DreamWorks in 2010 with the detail of a live-action film, it places imagination into the field of reality in ways never done before. Physics of dragon and human alike are sharply and gently, quietly and stunningly realistic. The flying scenes will truly inspire you. The music, oh the music, will thrill your imagination. Toothless depends on Hiccup and only together can they touch the sky (literally!). The story and characterization is much more developed than most animated shows — the dragons don’t speak or sing, there is no chorus of little animal friends, life and death issues are innately involved. Characters realistically address issues like selflessness, friendship, and relationships to others. They exhibit their personalities through a tour de force of nuance and expression. The plotline at first seems too simple to contain this film — a young Viking decides to befriend, rather than kill, his dragon. Yet there is so much more, so much more. Hiccup, the protagonist, grows in two very different worlds, to face a climax of choice between the old and the new. Watch out for literary parallels in dialogue and decisions. Listen, love, and prepare to be amazed. Hiccup, the young Viking, is put down by his father and the community. But soon he'll learn how selfless and courageous he can be. Every once in a while comes a show that, like my sister says, makes movies wonderful again. Born Yesterday (1950) is one of them. Summary: A criminal businessman (Broderick Crawford) tries to get his “dumb blonde” fiance (Judy Holliday) to wise up via the tutelage of a newspaperman (William Holden), but doesn’t bargain for the results. The great wonder of this is the theme, the all-American values and morals that rush out of its highly unique and entertaining plot. Selfishness is specifically decried and cited as the root of humanity’s errors. Ah, sweet selflessness, how I delight in seeing you promoted in film! And then the lessons on the aristocratic and our nation — so deftly done. Honestly, I near cried at times, just thinking of the ideals our nation was founded upon and watching the on-location shots of Washington, D.C., in the film. It makes one aspire all over again, and that’s what the best films do. Born Yesterday can boast of a stunningly unique protagonist in a stunningly unique plot made possible by a wonderfully thoughtful theme. It’s comedy with depth, humor that doesn’t force itself, but grows naturally out of who these characters are. 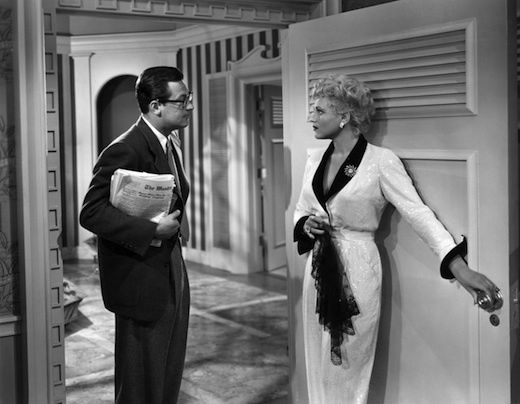 Judy Holliday’s role as the fiance is spot-on perfection — the voice, the mannerism, the look. The conflict is one-of-a-kind, and the symbolism and allusions send this production soaring over the themeless mill of other romantic comedies. In it, we find the triumph of wisdom and values over tyranny. It’s, as Holden’s character says, “a revolution”! I was really excited to see this, since I knew it was the seed of inspiration for my favorite series Hogan’s Heroes. The similarities are astounding – from a tubby guard named Schultz to the “no escape” record of the Kommandant to the fraternizing and trading between prisoners and Germans. It was humorously incredible! But the movie was as well, standing on its own. The opening scene with the overview of the huge prison camp really let us know what we were in for. I loved that they made a movie out of this concept. War and other dark subjects are frequently expounded and explained on film; the plight, struggles, hope, and humor of prisoners of war should get their share of attention from a civilian world that so often is ignorant of these military realities. A little introduction to this world can easily lead to more research, greater appreciation, and perhaps even a lifelong study (as what happened with me for my WWII appreciation, courtesy Hogan’s Heroes). But on with the movie – I was really surprised by the rich combination of drama and humor, laughter and poignancy, and of the brief character studies of many of the occupants of Barracks 4. Robert Strauss (as “Animal”) and Harvey Lembeck (as Shapiro) really stole the show; their characters and acting really shine. The plot picks up about halfway through the film and doesn’t let up from there. 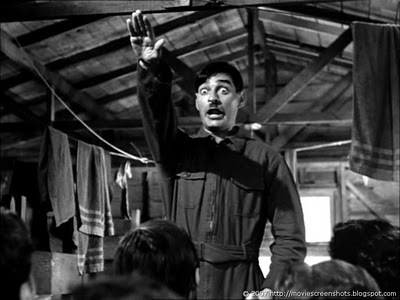 There are many memorable scenes (getting to the Russian women), laugh-out-loud moments (the reading of Mein Kamph), and heart-clutching moments (the lieutenant’s interrogation). 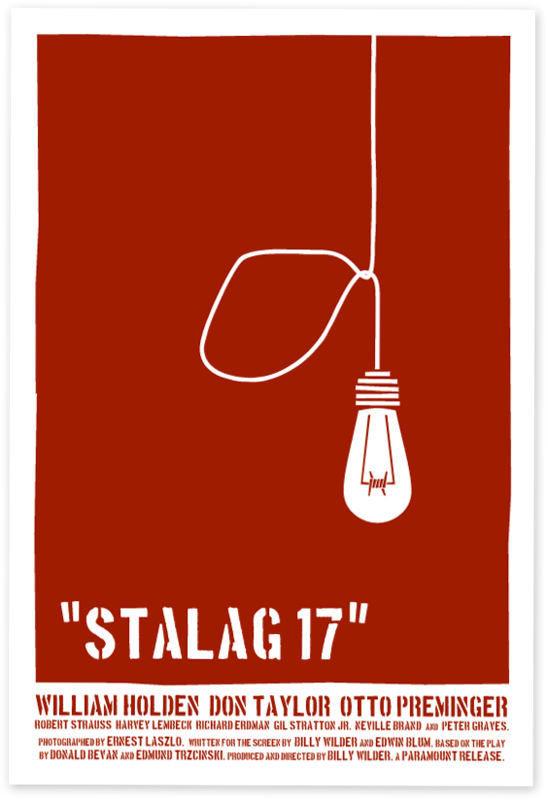 The Collector Edition’s accompanying mini-documentary on the real POWs of Stalag 17 puts the film in perspective and really made me appreciate what they went through. Overall, a fantastic movie – rich and richly acted. A fascinating old poster for it and the DVD cover of the edition I watched. 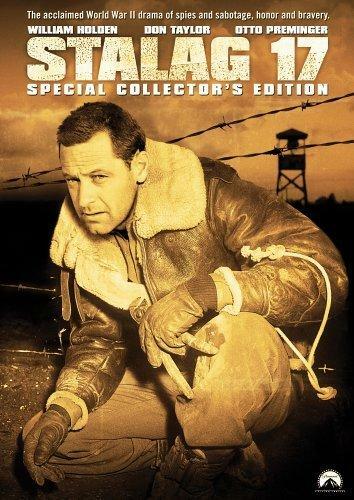 The main character Sgt Sefton (William Holden) at right and Lt. Dunbar (Don Taylor) at left. Most of the heart-clutching moments came with the lieutenant. Who couldn’t think of Hogan’s Heroes and Carter?